Connacht secured victory over Wasps in the most dramatic of ways yesterday and less than 24 hours later, more drama is unfolding. Jack Carty kicked the winning conversion in the 83rd minute after Naulia Dawai crossed the line a minute earlier to haul Connacht back from the brink. However, it has since transpired that the score should not have counted. The assistant referee took over from the injured Jerome Garces and he awarded a penalty to Connacht after time had elapsed. 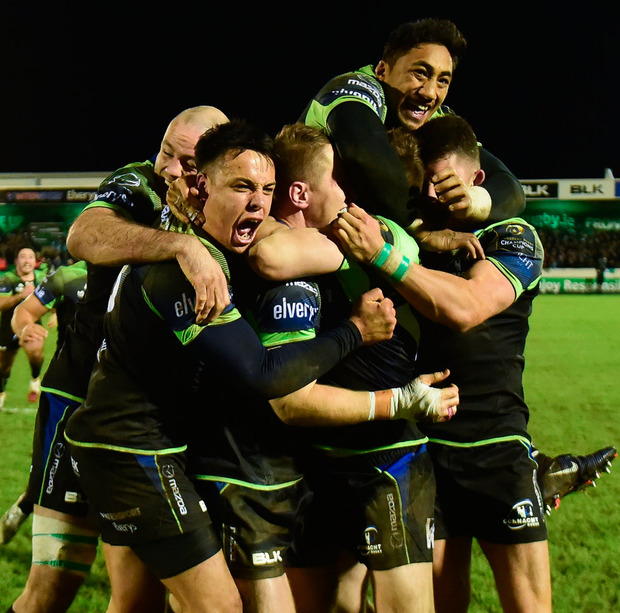 Connacht kicked the ball to touch and ended up scoring the match-saving try from the resulting line-out, despite rules stating the match should have ended once the ball went dead. The European Professional Club Rugby were today forced to issue an embarrassing statement confirming that the result still stands. "EPCR would like to clarify an issue arising from yesterday's European Rugby Champions Cup, Round 4 match between Connacht Rugby and Wasps at The Sportsground," read the statement. "The assistant referee, who had taken over as match referee following an injury to Jerome Garces, awarded a penalty to Connacht after time had elapsed. Connacht kicked the ball into touch and from the resultant line-out, scored a converted try to win the game 20-18. "However, as time had elapsed, Connacht should not have been permitted to take a line-out throw-in once the ball had been kicked into touch as stipulated in Law 5.7 (e) of World Rugby's Laws of the Game. "EPCR would like to thank all parties for their understanding and would also like to confirm that the result of the Pool 2 match stands."